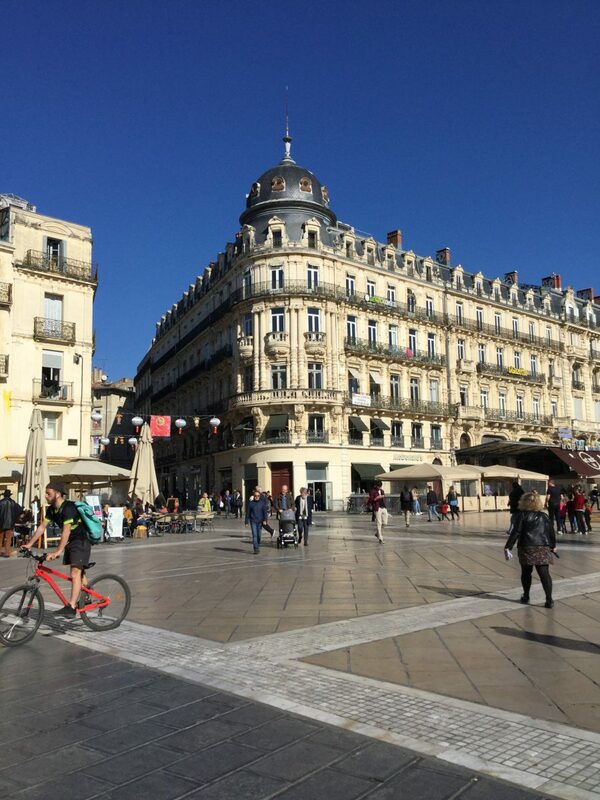 I first visited this charming city in 2009 when it provided the parcours for stage 4 (a team time-trial) in that year’s Tour de France. The Tour had kicked off in Monaco, where I’d worked as a volunteer, then my beloved and I had followed the subsequent stages to Montpellier. By chance we stayed overnight in the same hotel as the Astana cycling team which had both Lance Armstrong and Alberto Contador in its Tour squad. The pair did not get on and you could cut the atmosphere in the hotel with a spoon – no knife required! 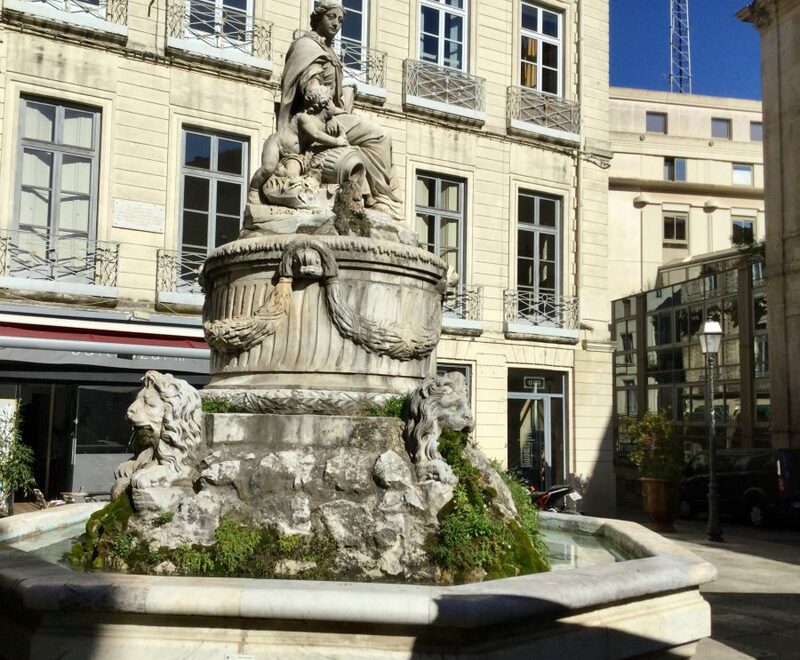 Montpellier is the second largest city in the Occitanie region, capital of Hérault, just 12km (7 miles) from the Mediterranean. 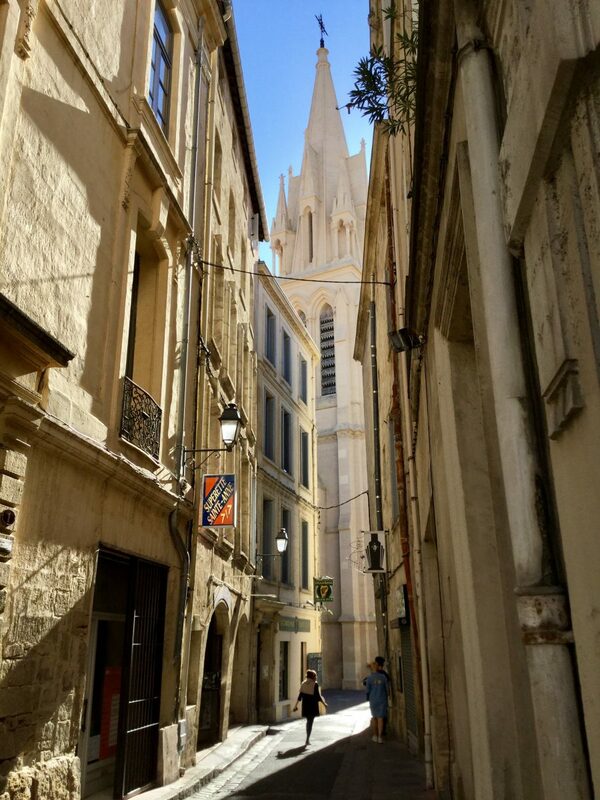 But its initial attraction is its medieval heart, the Old Town. 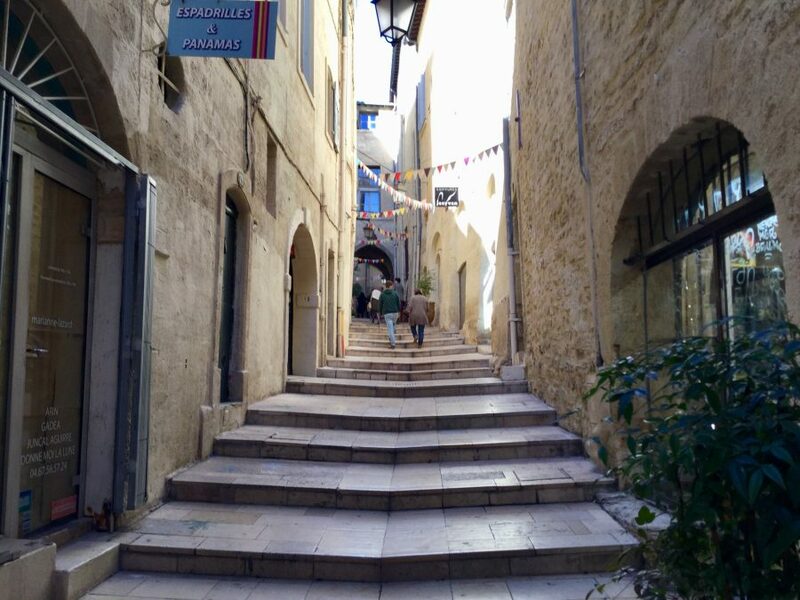 Here you’ll find a captivating tangle of lanes and passageways, lined with buildings of mellow, honey-coloured stone, many containing superbly stylish, small boutiques. Its 16 leafy little squares are abuzz with café life. 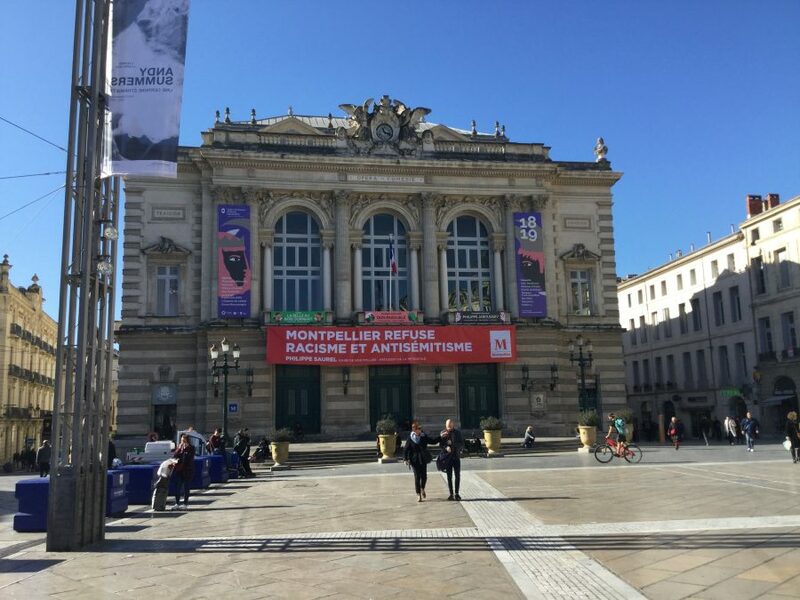 But Montpellier, which was developed in late 10th century, is an upstart by comparison with nearby Nîmes, Béziers and Narbonne, all of which date back to Roman times or even earlier. 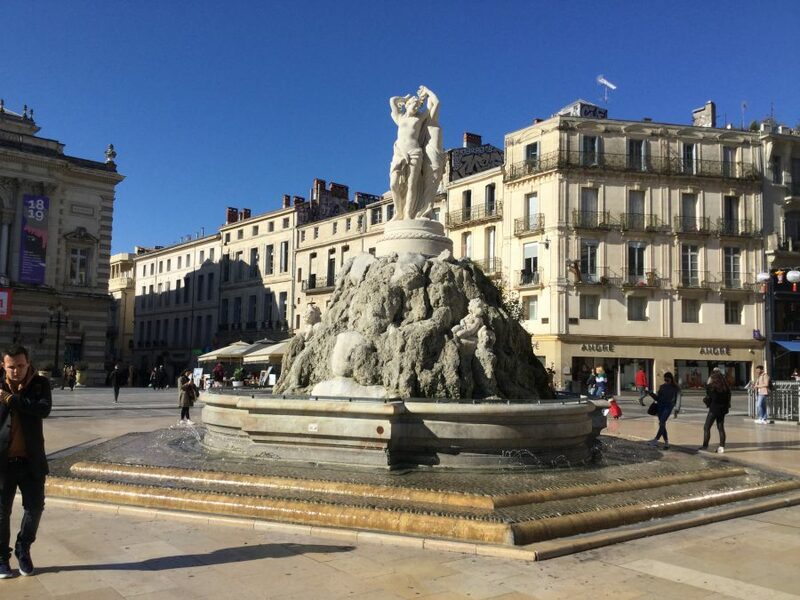 Set on the River Lez, giving easy access to the sea, Montpellier rapidly grew into a major trading centre, and continued to prosper. 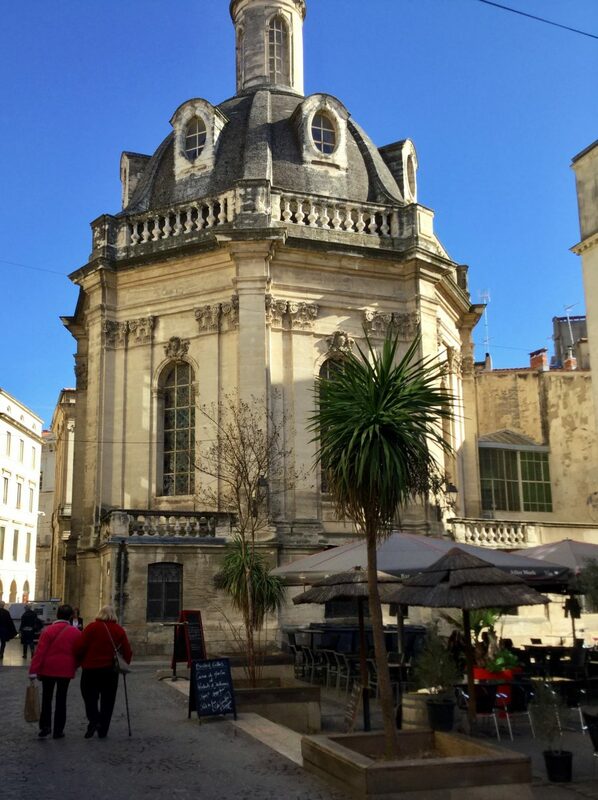 Fast-forward to 16th century and Montpellier became a Huguenot stronghold, and consequently suffered in the onslaught of France’s religious wars. Its destruction resulted in a swathe of rebuilding, and the city acquired some seriously splendid architecture in 17th and 18th centuries. 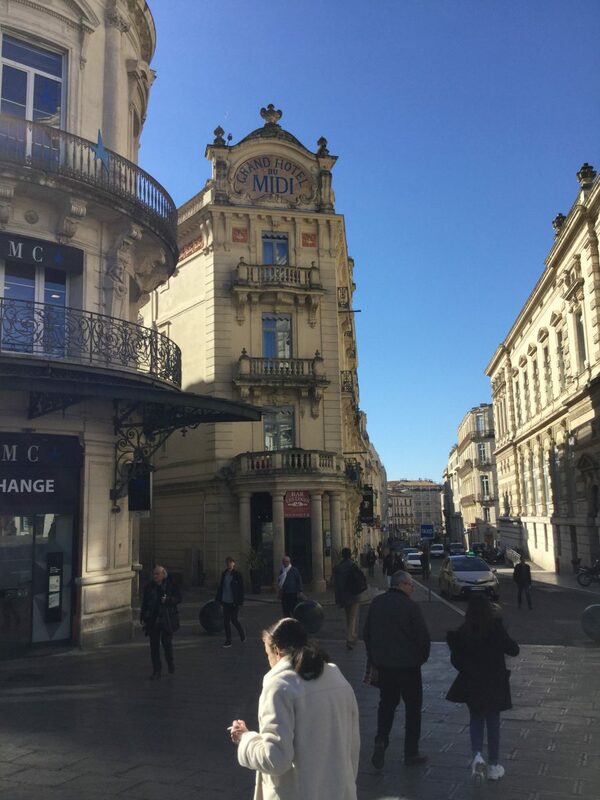 Montpellier’s a lovely city to stroll around and where better to start than the Place de la Comédie, Montpellier’s iconic heart. Sometimes called Place de l’Oeuf (Egg Square) because of its oval shape, it’s one of the largest pedestrian precincts in Europe and is dominated by the imposing Opéra Comédie in front of which is the Three Graces’ fountain built in 1773. 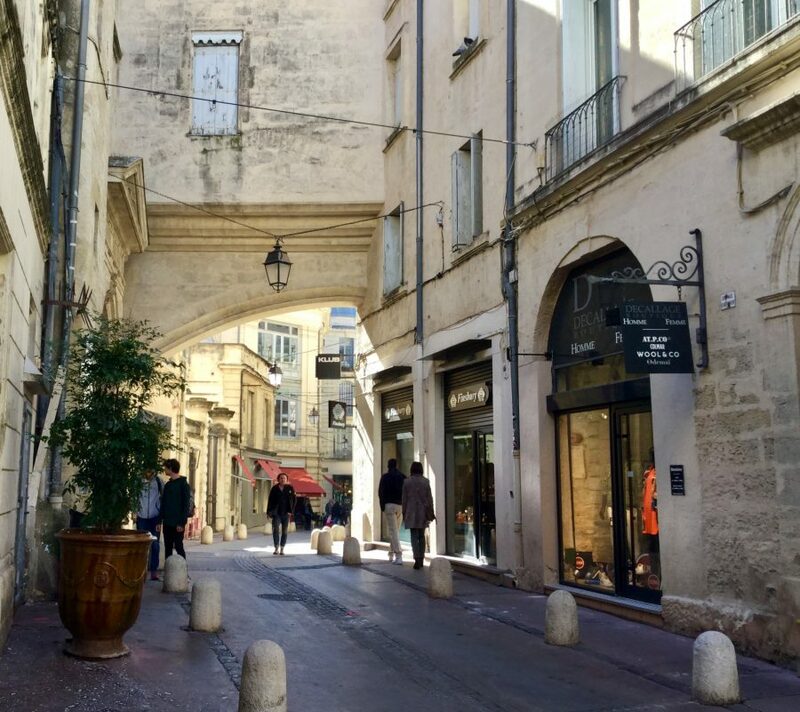 The city’s medieval street plan has remained largely unaltered, though there are now squares in place of some of the churches; hôtels particuliers, resplendent with wrought iron and elaborate stairways; and even its own little Arc de Triomphe to glorify (and mollify) Louis XIV. 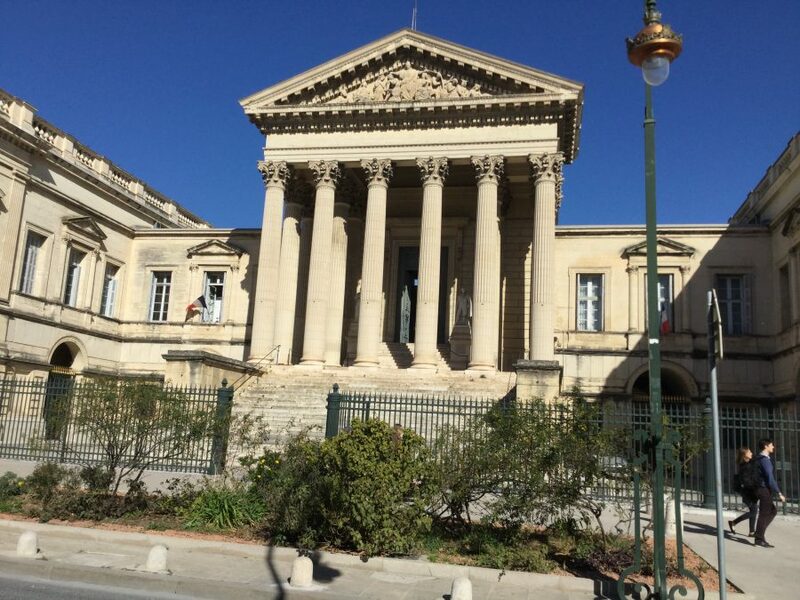 Montpellier has almost 80 private mansions of the classical period, veritable hidden gems, most of which can only be visited on organised guided tours. However, I’ve found that it pays to keep your eyes peeled as you may just happen upon an open door and be able to take a rare glimpse inside. 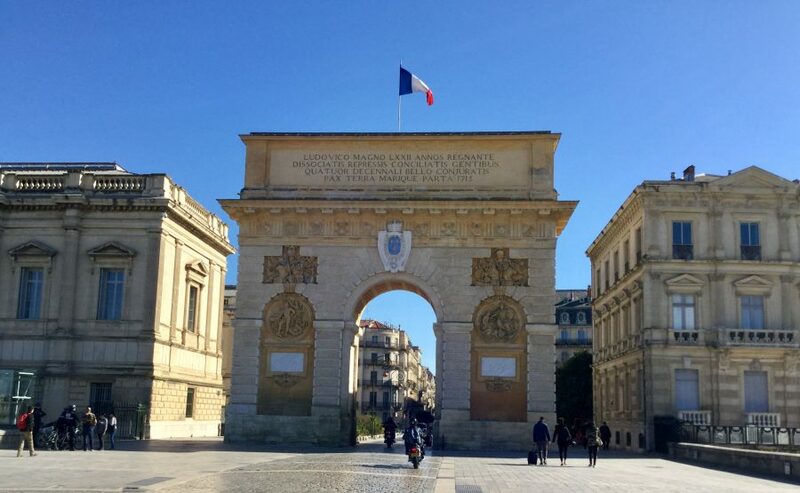 Montpellier’s Arc leads to the Promenade du Peyrou which affords a panoramic view of the city, including the ancient arches of Les Arceaux, a Roman aqueduct, and its Botanical Gardens, the oldest in France. 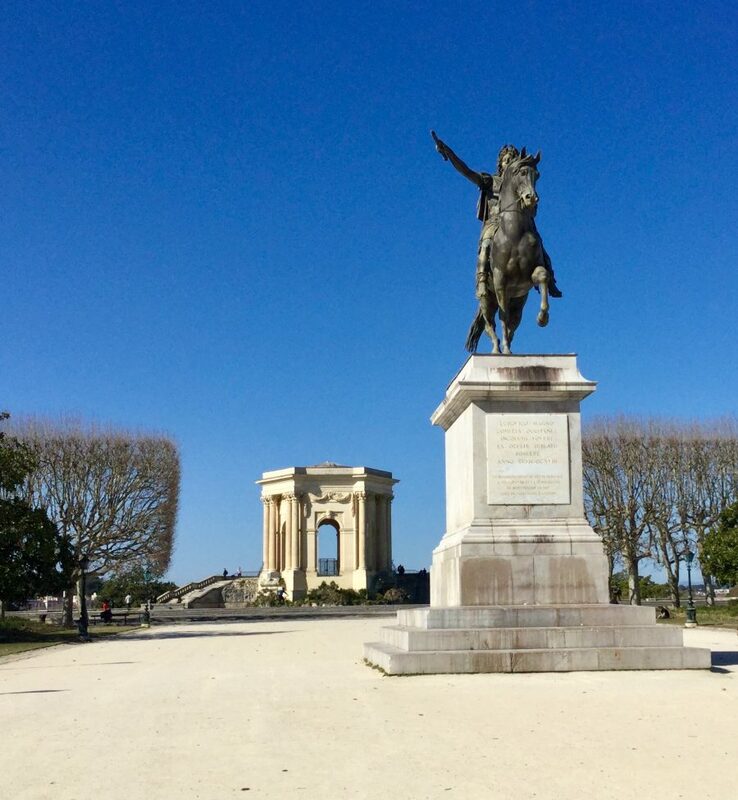 Peyrou was completed in 1774, the year of Louis XVI’s accession to the throne, by architect Jean Giral and features a statue of him on horseback and a classical style water tower. 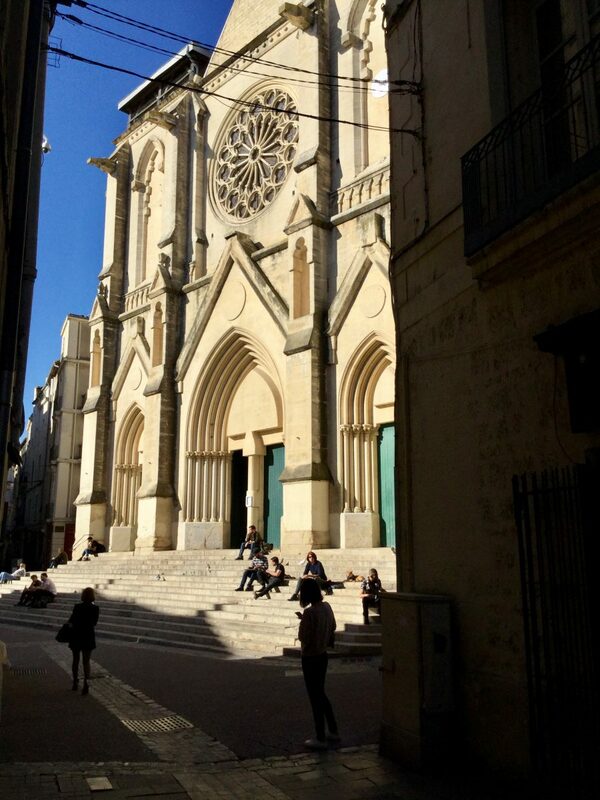 Also worth a visit is the city’s 14th-century Gothic cathedral, Cathédrale Saint-Pierre de Montpellier which has been heavily restored. 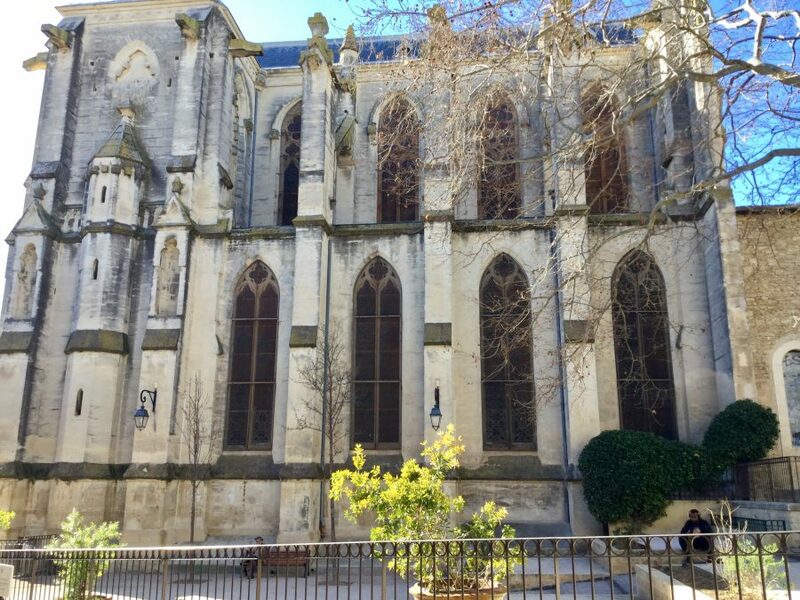 Behind its fortress-like façade, within its vast interior with high vaulted ceilings and grand stone archways, is a collection of biblical artworks, a striking-looking 18th century organ and many artworks. 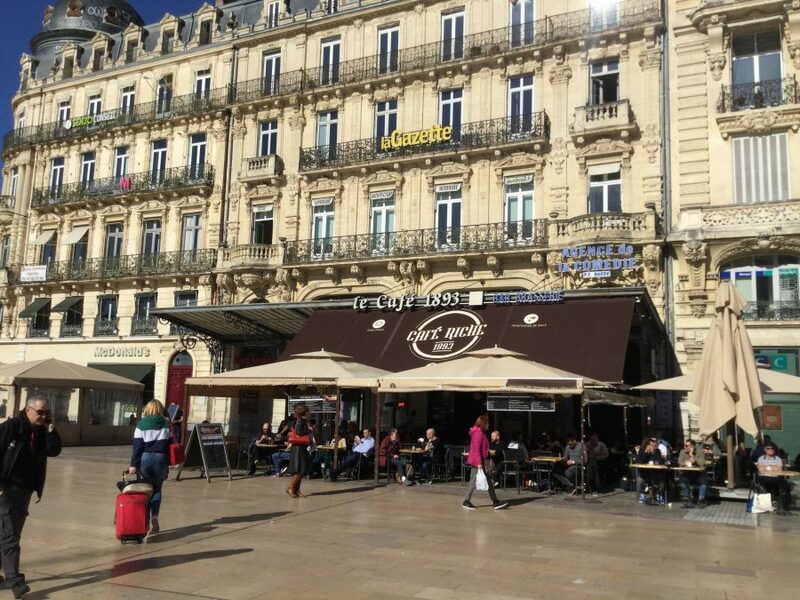 The weather has always been delightfully warm whenever I’ve visited and, after pounding its cobbled walkways, I’ve enjoyed sitting outside, lapping up the sunshine, at one of Montpellier’s many cafés, just watching the world stroll past.